© Reproduced from the National Museum of Photography Film, and Television by courtesy of the Science and Society Picture Library. 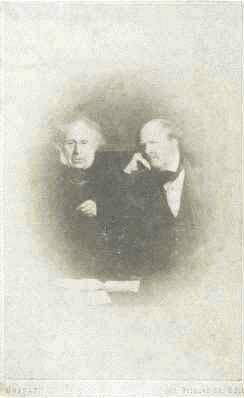 John Moffat also photographed Mr & Mrs Gladstone, and portraits of Edinburgh University Professors. Edinburgh Public Library collection includes ten photographs by Moffat of the Edinburgh author of Treasure Island, Robert Lewis Stevenson, aged 2, 3, 4, 10, 15 and 20 (c.1852-70). Please click here to see some of the Robert Louis Stevenson photos. “The well known electric and day-light studios for portraiture, including a special studio with toys for photographing children. Moffats has a stock of 300,000 negatives including some old views of Edinburgh. Estimates of the number of negatives in John Moffat's study vary from "over 100,000" to "300,000 (in the quote above). The number had reduced to 10,000 by the time the firm was taken over by ER Yerbury. I have also been unsuccessful in tracing any of them. I have several post-cards by JR Russell of Edinburgh [JRRE], all showing Clergymen - two of the photos were taken by John Moffat.